Needs Celtic Hand font to display the text properly, but should work OK with Rainlendar default font. 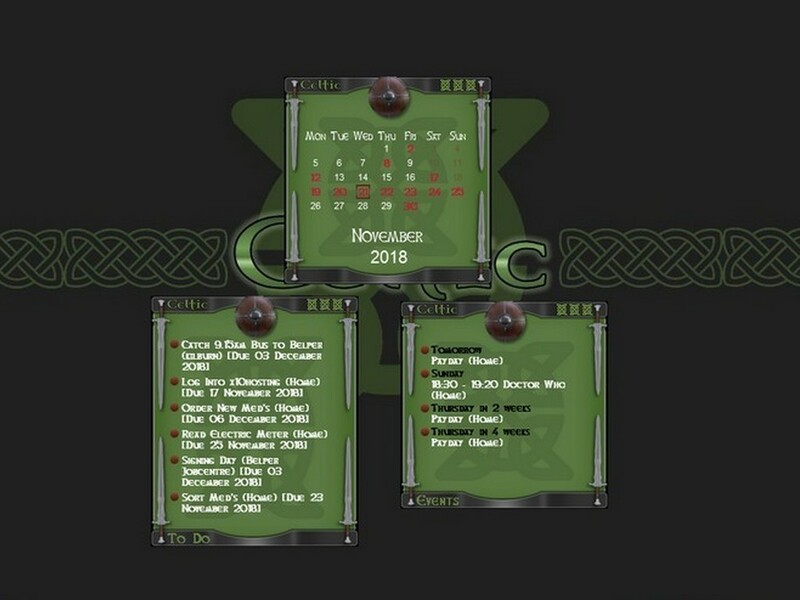 I have included the Celtic hand font in the Zip file. Also included in the Zip is the permission text from don5318. Many thanks to Don for the original WB skin, and for granting permission to upload this one.